During setup of Parallels Mac Management, Netboot Server component option is grayed out. Requirements for installation are not met. Distribution Point role is installed on the server. WDS is installed and running. If WDS and DHCP are both installed on the same server, the "Do not listen on port 67" option must be selected in the WDS service properties. Verify that the user account used to configure Parallels NetBoot Server has sufficient privileges. 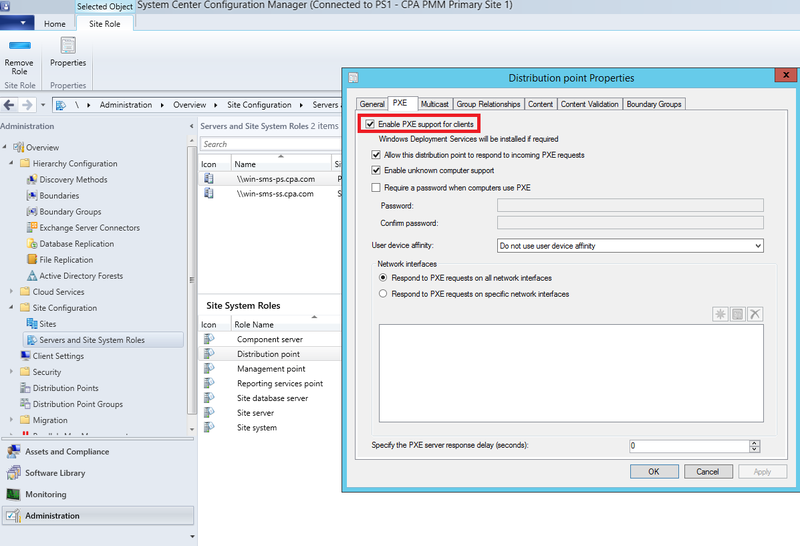 Check that "Enable PXE support for clients" option is enabled in SCCM.